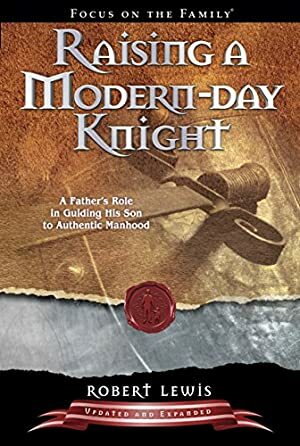 The medieval custom of knighthood offers a unique approach to shaping a boy into a strong, godly man. Centuries ago, select boys went through a rigorous, years-long process of clearly defined objectives, goals, and ceremonies -- with the hope of achieving knighthood. Along the way, they acquired a boldly masculine vision, an uncompromising code of conduct, and a noble cause in which to invest their lives. They were the heroes of their age. Track It. This book has been $6.08 within the past year. We started tracking this book on June 16, 2012. The price of this book has changed 174 times in the past 2,498 days. The current price of this book is $6.18 last checked 4 hours ago. This lowest price this book has been offered at in the past year is $6.08. The lowest price to date was $5.99 last reached on January 31, 2015. The highest price to date was $10.49 last reached on February 22, 2019. We last verified the price of this book about 4 hours ago. At that time, the price was $6.18. This price is subject to change. The price displayed on the Amazon.com website at the time of purchase is the price you will pay for this book. Please confirm the price before making any purchases.